Check your equipment – Make sure all parts are secure and working properly. Before riding, inflate tires properly and check that your brakes work. Wear a properly fitted bicycle helmet – Protect your brain, save your life. Adjust your bicycle to fit – Stand over your bicycle. There should be 1 to 2 includes between you and the top tube (bar) if using a road bike and 3 to 4 inches if a mountain bicycle. The seat should be level from front to back. The seat height should be adjusted to allow a slight bend at the knee when the leg is fully extended. The handlebar height should be at the same level with the seat. Be extra careful at Night – Whether daytime, dawn, dusk, bad weather, or at night, you need to be seen by others. Wearing white has not been shown to make you more visible. Rather, always wear neon, fluorescent, or other bright colors when riding day or night. Also wear something that reflects light, such as reflective tape or markings, or flashing lights. Remember, just because you can see a driver doesn’t mean the driver can see you. It’s the Law – a front white headlight and a rear reflector is required when bicycling at night. A red light on the rear is strongly recommended. 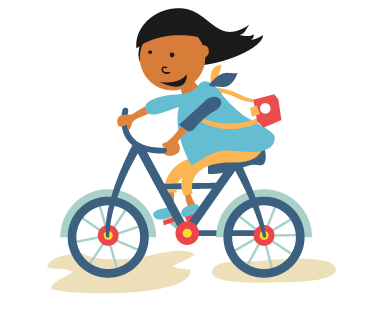 Control your bicycle – Always ride with at least one hand on the handlebars. Carry books and other items in a bicycle carrier or backpack. Watch for and avoid road hazards – Be on the lookout for hazards such as potholes, broken glass, gravel, puddles, leaves and dogs. All these hazards can cause a crash. If you are riding with friends and you are in the lead, yell out and point to the hazard to alert the riders behind you. Watch for vehicles coming out of or turning into driveways. Stop at corners of sidewalks and streets to look for cars and to make sure that drivers see you before crossing. Enter a street at a corner and not between parked cars. 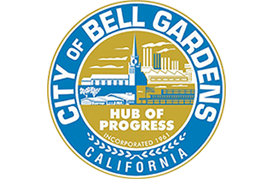 Alert pedestrians that you are near by saying, “Excuse me,” or, “Passing on the left,” or use a bell or horn.